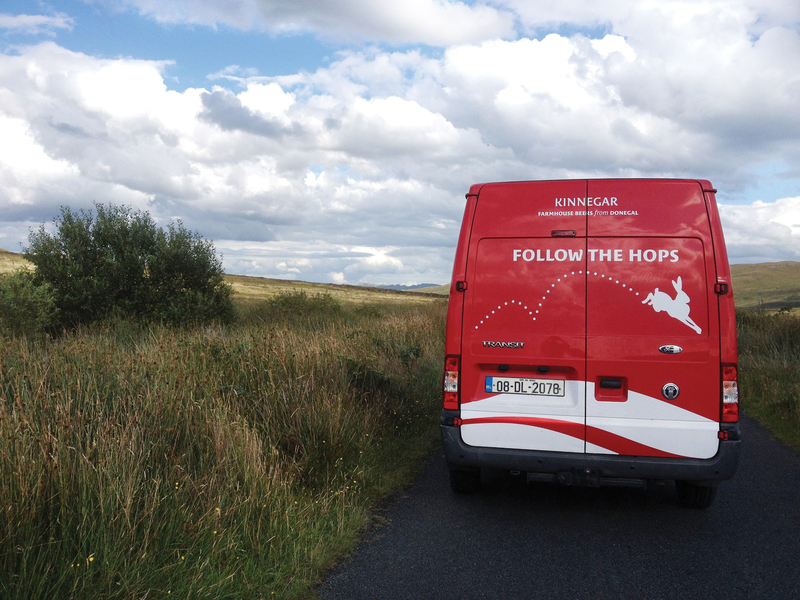 At Kinnegar we pair brewing tradition with a contemporary sense of adventure to produce clean, crisp, full-flavoured farmhouse beers. The brewery is named after the nearby Kinnegar Beach just north of Rathmullan in County Donegal. Our roots are deeply embedded in the hilly fields and farms of northeast Donegal. This is the perfect environment for the way we make beer. We don’t filter or pasteurise, and we let our industrious little friends, the yeast, carbonate the beer naturally during fermentation. With the opening of K2, our new state-of-the-art facility in nearby Letterkenny in March 2017, the clinking of bottles coming off our line no longer mingles with the bleating of sheep from the surrounding fields. The farmhouse ethos at the core of what we do however remains the same.